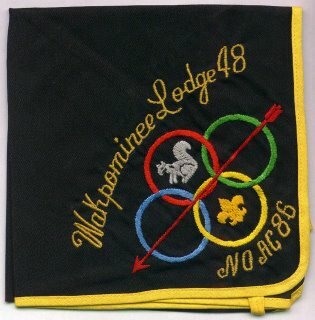 Unlisted Neckerchief Lodge 417 Ganeodiyo ? This is a bleg for information regarding what is apparently an unlisted Neckerchief from Lodge #417 Ganeodiyo. 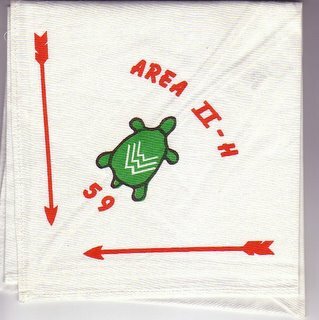 The neckerchief is similar in design to the N1.5 but rather than having "61" in red, this one has "59" in red at the bottom of the neckerchief. 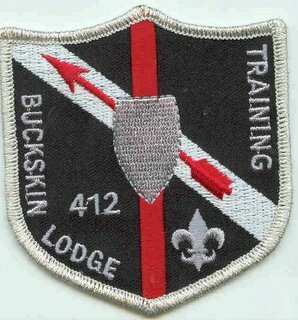 The N1.5 is dated "61" in 1961 the 2H Conclave was held at Crumhorn Mountain Scout Reservation which is the Council Camp of Onteroraus Lodge 402. 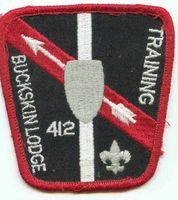 Therefore the N1.5 would either be a NOAC Contingent Neckerchief (NOAC held in 1961) or and Area Conclave Contingent Neckerchief. 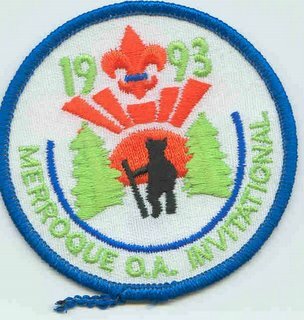 Since there was no NOAC in 1959 my best guess is both the 1961 and the 1959 neckerchiefs are Lodge Contingent Neckerchiefs to the 2H conclaves. As you can see, the neckerchief is white with 2 red arrows, a red Area II-H and 59. 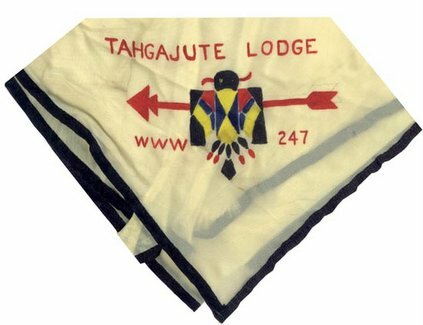 I need to confirm my belief this is a Lodge Contingent piece to the Area 2H Conclave in 1959 and not the conclave neckerchief. Does anyone have any direct knowledge of this issue? 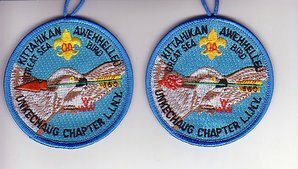 Does anyone have a scan of the 2-H conclave patch or neckerchief? 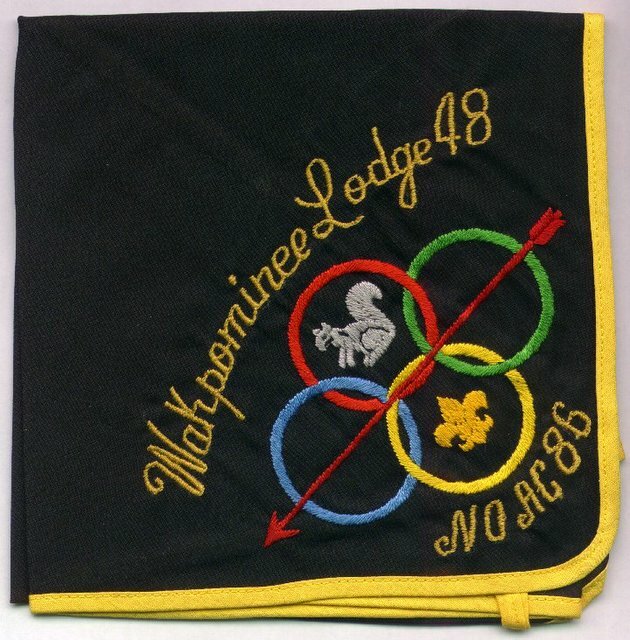 Knowledge of the Host Lodge who held the 1959 2H conclave or Camp the event was held in? Please send you comments to me via the email link in the sidebar or directly here on the blog. 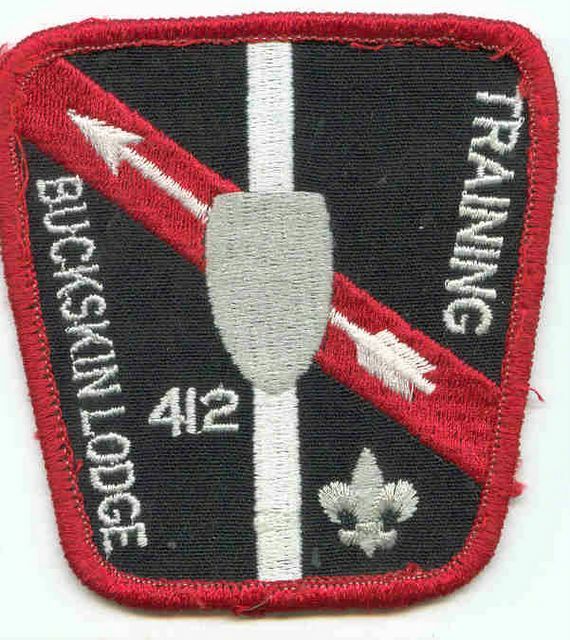 Yet another previously unlisted odd-shape from Buckskin Lodge via Brian Petrowski. Another Source for pages and collector supplies. 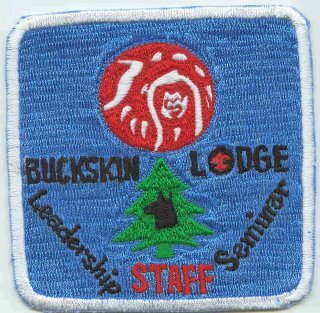 I've located another source for archival quality pages that can be used for collecting patches, BCW Supplies. According tio their information, their Polypropylene Pages: Heavy-Duty Polypropylene Material (115 micron) Archival Safe (contains no PVC) Highest clarity available Material manufactured in USA Highest weld strength attainable for this material Straight bar seals Designed for 3 ring binder (holes punched & cleared) Foil stamped BCW logo The pages are generally available in quantities of 25 and 100 in the sizes uasable for patch collecting and some unusual sizes for other purposes. 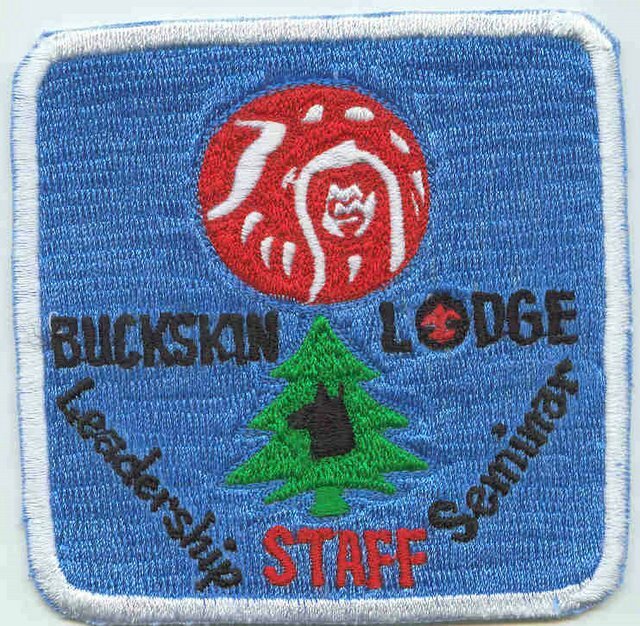 They have single pocket(neckerchiefs and jacket patches), 2 pocket (2-piece sets), 4 pocket (3" rounds or other smaller odd-shapes) and 6 pocket pages (for CSP's and flaps). They also have other supplies such as 3 Ring D-clip binders and comic and magazine backing boards. I use the acid free backing boards and cut them to size to fit the various pocket sizes of the pages. this makes for a cleaner appearance and can double the number of patches that can be displayed on each page. They can be found by clicking on the banner link below. I've added a couple of links via Amazon in the sidebar which links to sellers of Ultra-Pro Pages both 6 pocket and 1 pocket pages. The 6 pocket pages are great for regular size flaps and the 1 pocket pages are good for most neckerchiefs and jacket patches. Whether you get them here or somewhere else, be sure they are archival quality so the patch colors don't bleed into the plastic. 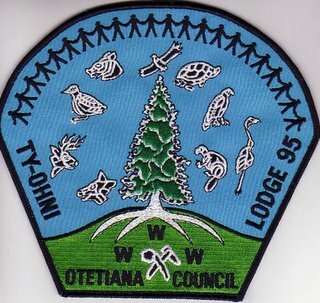 Lodge #95 has issued to new jacket patches with a similar design. The J6 has a Silver Mylar Border, the J7 a black border. The J6 was issued in a smaller quantity than the J7. The J7 is pictured below. Note the twill directions in the descriptions. I'm trying to determine if the opposite twill directions exist in one or both of the J's which would create an a & b variety. 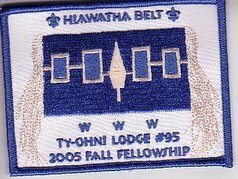 The most recent Lodge #95 event patch for their 2005 Fall Fellowship. 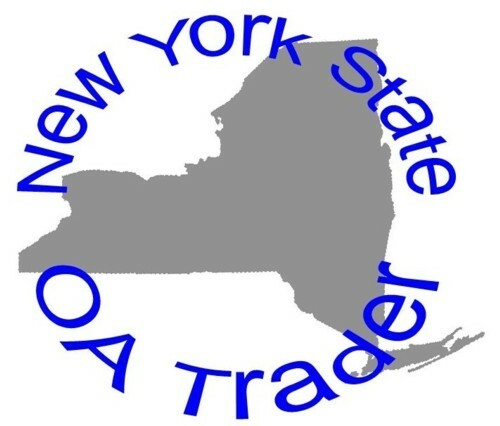 I have posted the first version of my 2006 NYS OA Checklist with all of the known issues to date (Such as they are). Well actually I still have to update some information on Lodge 412 which has issued 3 two-piece sets, but it otherwise contains all of the known issues from New York Lodges. Clickhere for the list or use the link in the blogroll. Please let me know if you are aware of any other issues from NY Lodges. Of course I am always looking for a trade/purchase for any issues I need. Shu-Shu-Gah Lodge #24 Eleventh Annual Trade-O-Ree Saturday 11/18/2006 Gary Laermer Pavillion at Orbach Arena, Camp Alpine Alpine, NJ 10:00AM to 3:00PM (dealer setup begins at 9:00AM) Admission: Free to All Table Information: contact me at billmul@mindspring.com In 2004 we sold out our 48 tables set up in the Arena, in 2005 we cut back to 46 tables to relieve a little congestion and sold out again . For 2006 we will cut off the at 46 tables, first come first served. 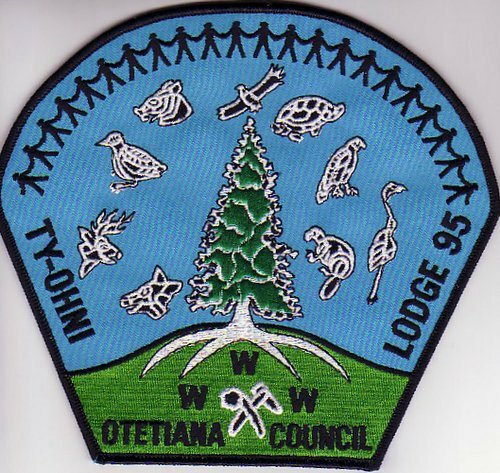 Shu Shu Gah Lodge will be conducting a live auction at the TOR. If you are interested in donating items for this auction, they may be sent to the address below or be brought to the TOR in Camp Alpine on November 18, 2006. We plan to continue our efforts to publicize the TOR. Flyers will be handed out at many of the upcoming local TOR's, at the Section Conclave, GNYC's Summer Camp Ten Mile River, the GNYC Steakout (Program Kickoff) and other local Scouting events. Flyers or information will also be available in ISCA website, on various dealer lists, local Scout Camps, etc. In addition flyers are being included in the lodge mailings. Please mark your calendars, I look forward to seeing you all at the TOR. 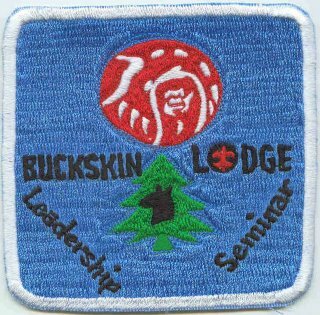 If you're interested in reserving a table or if you have any questions, please contact me at billmul@mindspring.com Shu Shu Gah Lodge will also be hosting an Indian Seminar in Camp Alpine the same weekend. 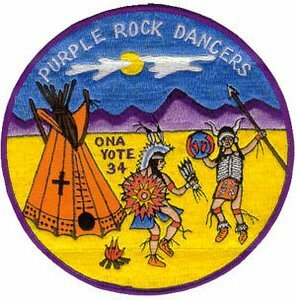 Sessions on Indian Clothing, Dance and Singing Sessions and Workshops on OA Ceremonies. Extensive craft area. Pow-Wow Dancing on Friday and Saturday Nights. This is one of three older scans I uncovered while cleaning out some older files. Each of these items were newly listed in Blue Book V, but scans were never sent to http://www.oaimages.com/ I'll rectify that later this evening. I believe that this scan was provided by Frank McClain. I'm still looking to buy or trade for one of these myself. This is one of three scans I found while cleaning out some older files. These three items were all new listings in Blue Book V, but none of them ever were sent to http://www.oaimages.com/ I'll rectify that tonight. I beleive this scan was provided by Frank McLain. I'm still looking to buy or trade for one of these myself. This is one of three scans I found while cleaning out some older files. These three items were all new listings in Blue Book V, but none of them ever were sent to http://www.oaimages.com/ I'll rectify that tonight. I beleive this scan was provided by Bruce Raver. I'm still looking to buy or trade for one of these myself. This is another Chapter Event issues. I only have the small thumbnail. I'm looking for a better image and a trade for one too. BB Style Stats: Matinecock eX2002 PUR R WHT BLU YEL FDL; BLU WWW Shelter Rock District Klondike Derby Dome Shaped Undated.